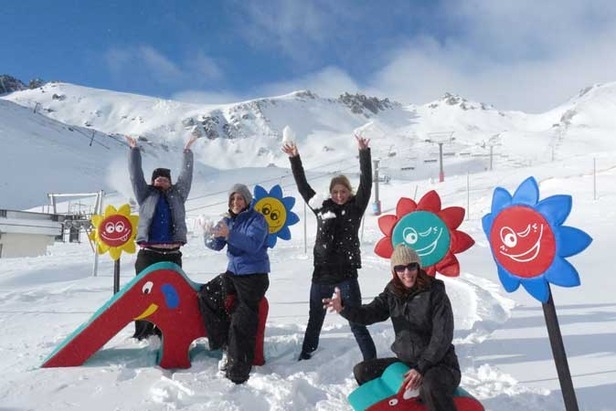 The latest resort to join them, The Remarkables, will open this Saturday (20 June), and the pre-season snow means all lifts and the terrain parks will be open for season kick off. The ski area received 10cm (four inches) more fresh snow yesterday (Tuesday 16 June) and is enjoying a solid average base of 75cm (2.5 feet). More snow is forecast for later today (Wednesday 17 June) which bodes well for an awesome opening on Saturday, according to Ross Lawrence, Ski Area Manager. "We're excited to announce that our main terrain parks, the Dirty Dog Terrain Park and Tararua Iced Coffee Beginner Park, will be open from Saturday as a result of great pre-season conditions," said Mr Lawrence. "Our terrain park crew have been having some fun over the last couple of weeks completing the set up of the parks at The Remarks." "We're pretty stoked to be able to open Shadow Basin on day one with plenty of snow, and also the Homeward Run and shuttle service," he said.